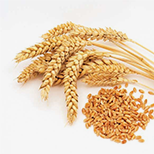 Wheat is an umbrella term that covers several species belonging to the genus Triticum. These are annual plants in the grass family (Poaceae), grown in almost the entire world. Wheat is the most widely cultivated plant in the world and fourth crop production as global as sugarcane, corn and rice. No. 2 in area is corn. 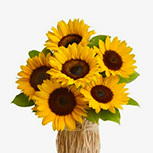 In Western Europe and the Middle East, wheat and its derivatives are part of current nutrition..
Sunflowers (Helianthus annuus) or as it is called in Moldova - "Sunrise" is an annual plant of the Asteraceae family, native to America. 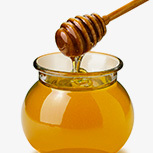 It is one of the most cultivated composites for oil-rich seeds, which are extracted from sunflower oil. The leaves are large, whole, petiole and chordates. The stem ends with a single calatidiu or sometimes it has more branched inflorescences. Calatidiile are large with receptacle plan, with yellow. 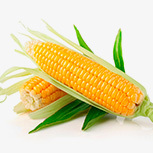 Corn (Zea mays ssp. Mays, regional maize, cucuruz) is a cereal originating in Central America cultivated today in many regions of the world as plant food, industrial and fodder wheat is with 80% of cereal production. Does corn strain belongs to the family Poaceae high and thick, unbranched, called popular "cob", with long leaves and sharp peak, rough. On the same plant are male flowers and female flowers on the same stalk. Dried fruit, an excellent choice when it comes to a delicious dessert or a healthy snack, being a rich source of sugar, fructose, vitamins and minerals (iron, potassium, magnesium, calcium) that can be easily assimilated by the body. 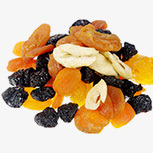 In periods of physical and intellectual, a mix of dried fruit is ideal for consumption due to its high fiber and fruit-specific properties that induce a state of satiety quickly and preventing overeating.